Becky Kisabeth Gibbs’ art explores the infinite variety of forms that appear in nature - the illusive and ever-changing beauty of water, the fleeting and unreachable sky, and the irregular yet repetitive shapes of trees. Gibbs’ paintings use nature to convey emotion. 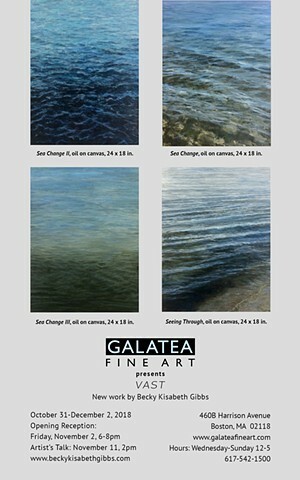 Her most recent solo exhibit, "Vast", was in November 2018 at Galatea Fine Art, Boston, MA. She has also participated in many group and juried shows. 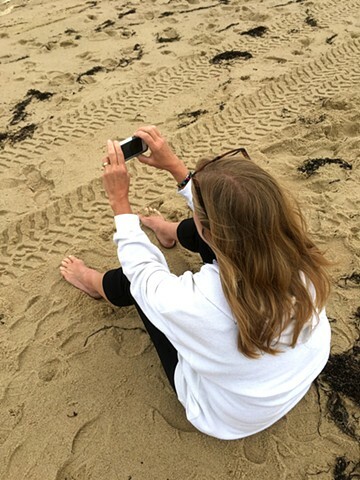 Her work can be found in public and private collections including: Boston Children’s Hospital, Floating Hospital for Children at Tufts Medical Center, and UMass Memorial Laboratories. She received her BFA from Bowling Green State University, Bowling Green, Ohio and furthered her studies at the DeCordova Museum School, Lincoln, MA. Born in Sandusky, Ohio, she currently resides near Boston.